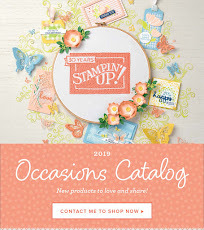 New Stampin Up Catalog ordering time. 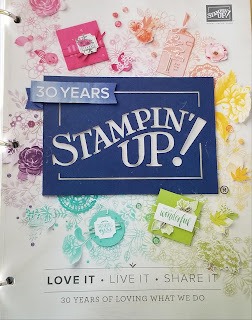 I will be ordering the New Stampin Up Catalogs on Wednesday and would like to know if you will be wanting one. Please let me know by Tuesday May 1st at 5 pm. Are you in my Hostess Club? You will get yours FREE, and you will get it as soon as I get them. 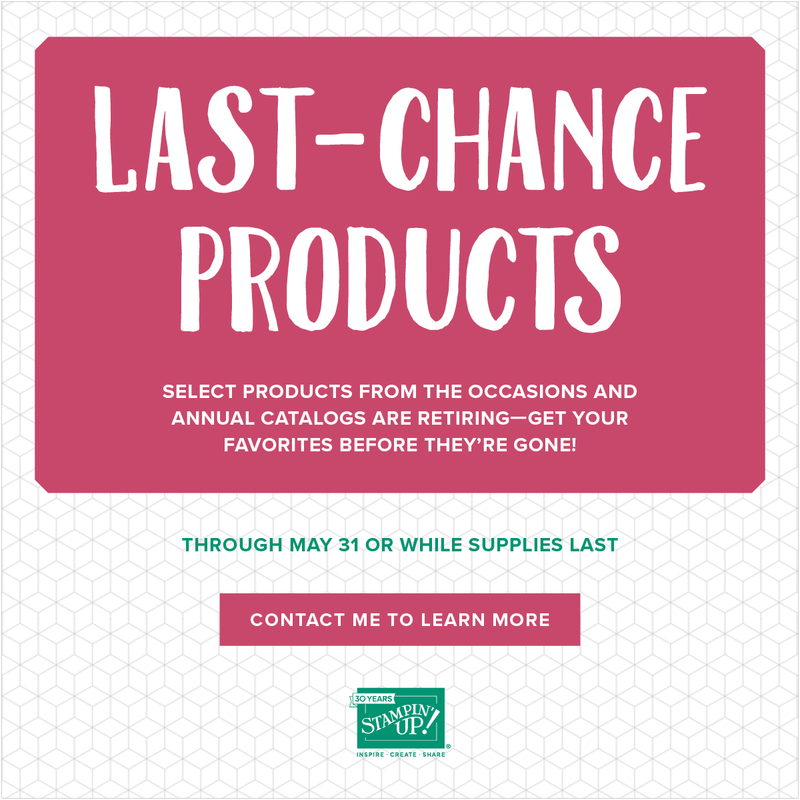 If you have ordered from me this past year you will get one FREE, but you will need to pick it up at my Customer Appreciation event on June 1st. Those of you have not been a customer of mine this past year will be invited to the Open House on June 2nd. The cost is $5.00 but then you will get a $5.00 Coupon to use towards a $50.00 order (before s/h and tax). 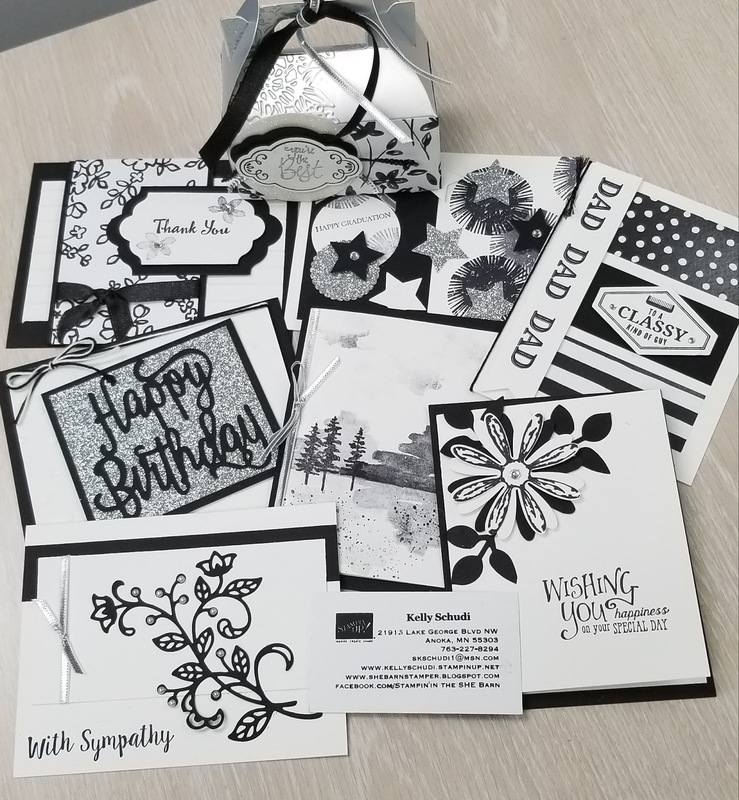 Watch for details for the Customer Appreciation event and the Open House via emails, on my Blog, www.shebarnstamper.blogspot.com my Facebook page www.facebook.com/stampinintheshebarn/ or my Demonstrator Website www.kellyschudi.stampinup.net Make sure you follow me on this blog. And I still have plenty of room to add things! Oh do I love this! Sam was a great help again today with putting pegs and shelves in! I got me a winner there. I finally got this together after 3 months. The delivery companies have been tough on my parts. Tomorrow I get to put in the shelves, Magnetic sheets, finish the door parts, and containers. Then to figure out what I want and where. So excited! 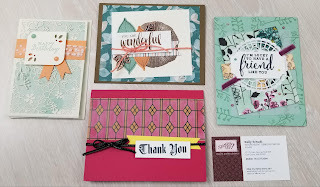 Had a great Stamping Day! 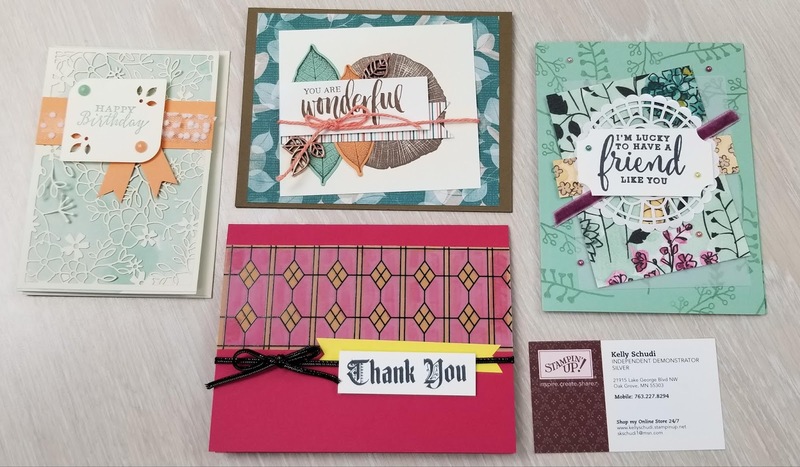 Thank you to all the wonderful ladies that came to the Stamp Camp today. Hope you had a wonderful time and not only enjoyed your projects but also liked your Special gift today. I just enjoy having you playing in the SHE barn with me. There are 65 Awesome items in the Clearance rack at super prices. 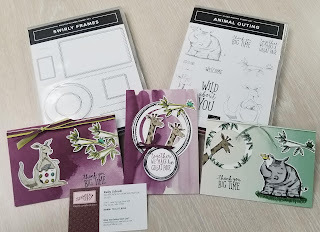 Check out the Clearance Rack from Stampin' Up! Use Hostess Code FJ643UKG when ordering. 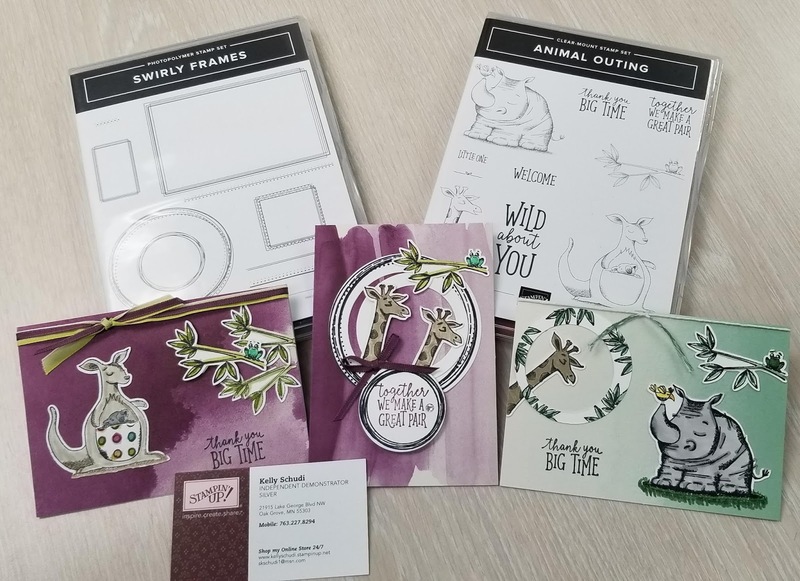 Be sure to leave me your address when ordering so I can send you a nice Thank you Card! You can check out the retiring list too. They are going fast and many are while supplies last. Black, White and a little Bling Camp ready to go! I have room for 2 more for Saturday 21st at noon. 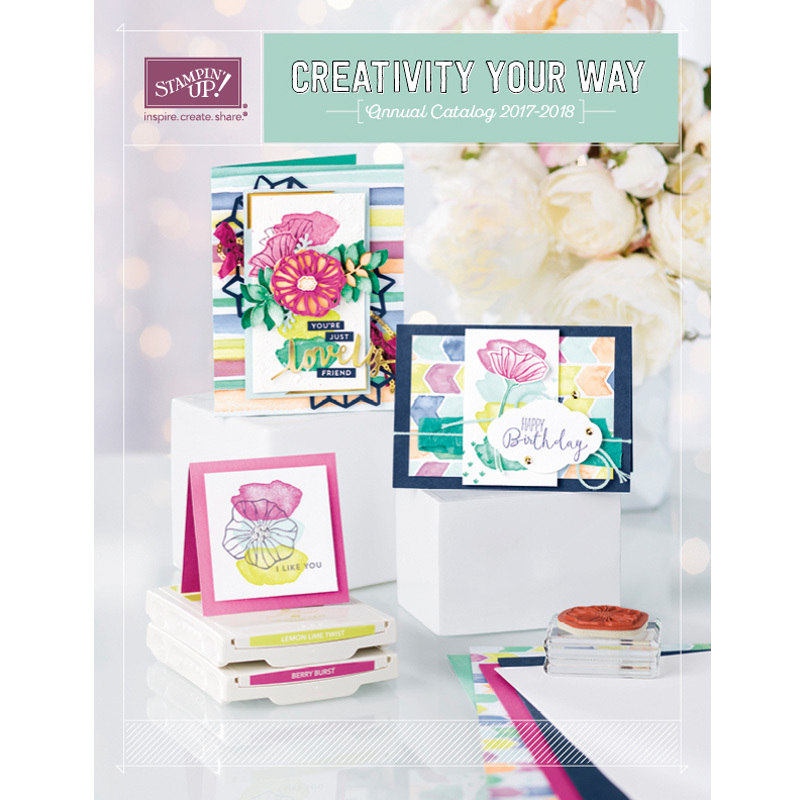 $25.00 to make all the projects, plus I already made your bonus card holder! Let me know if you are interested and want to join us by Friday April 20th at 5pm. skschudi1@msn.com Camp is on Saturday the 21st at non in the SHE barn. Oak Grove. 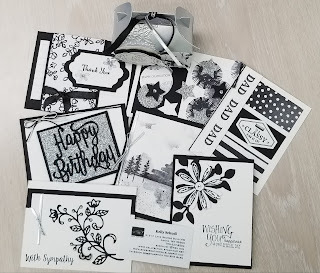 If you can't make it and would like to purchase a kit you can do that and just use your own Stamps and ink to create your own cards. 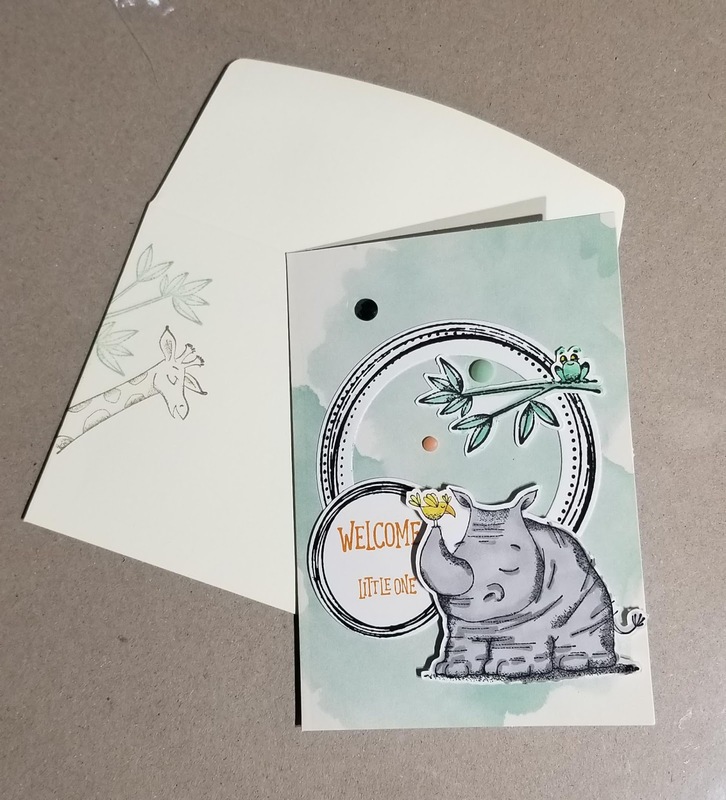 I am having so much fun with these Stamp sets! Hope you enjoy them. Which one is your favorite? Do you like saving 60% off retail price? 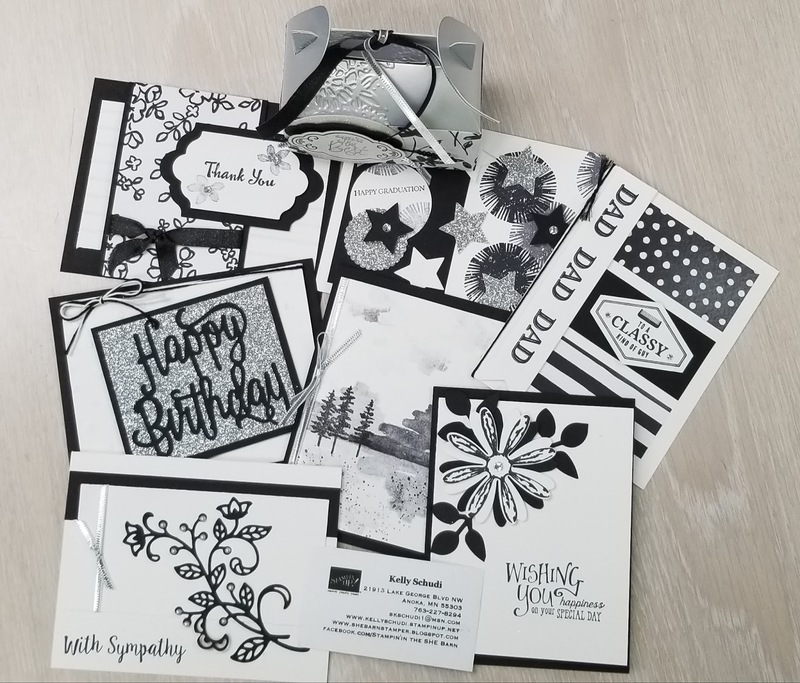 Click on the STAMPIN' UP! logo and then go to the Clearance rack. More new items added. Check out the Discontinued list too. You don't want to miss out on something you really wanted. On Stage Make and Takes! Had a great time in Milwaukee with some awesome Demos! Card Making on a snow day! Got out some of the new Stamp Sets that I got at On Stage. Today was the first time that I had to Cancel a Host Club meeting. Safety comes first for my group of wonderful ladies! It's supposed to keep snowing through tomorrow too! Sneak Peek of May Special! Look at what is coming up in May! Getting Excited for On Stage! Friday I leave with 3 other awesome Demonstrators to go to On Stage in Milwaukee. I have prepared 75 cards for swapping with other awesome Demo's. We will get to see the new Stampin Up Catalog that will be coming out in June. So excited. Also looks like the retiring list will be coming out on April 9th. Be on the look out for the list. 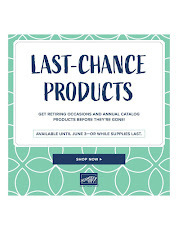 Don't miss out on retiring sets. 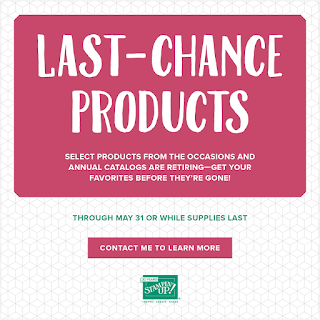 Get your orders in ASAP especially on retiring In Colors. They will sell out of reinkers and Cardstock normally withing hours of the list going live.